From a very young age, Bryan Crisp was destined for a career in the automotive industry. Born with an inherent love for all things motorized, Bryan quickly graduated from toy cars to building his own RC cars, even helping to build a Ford racecar in his early preteens. It was no wonder that after high school Bryan chose to study auto mechanics. 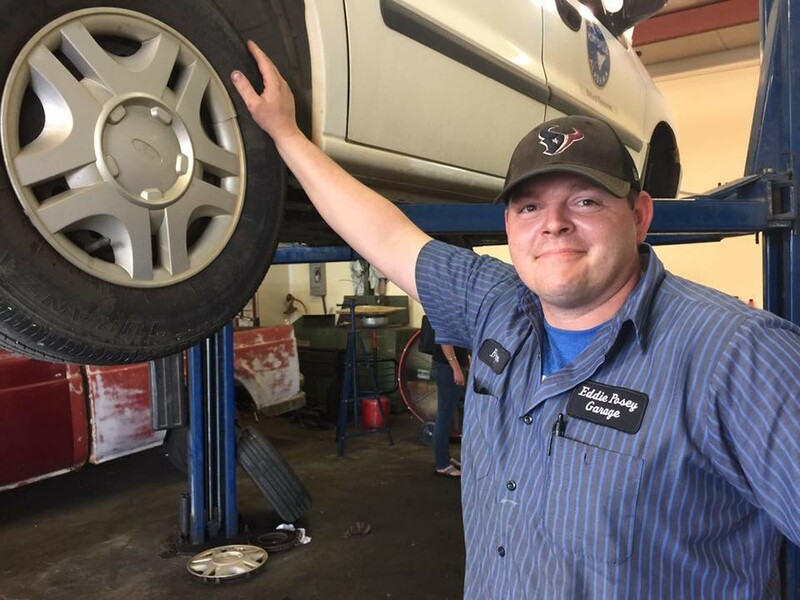 After completing his degree program, Bryan went on to seek and receive his ASE Certifications while working for Bill Heard Chevrolet of Huntsville. When the dealership closed its doors, Bryan went to work for Eddie Posey and after a short time he became shop foreman and lead technician. In 2014, when Eddie decided to retire, Bryan took over as owner and maintains his position as lead technician to this day. Ever diligent and always open to learning the new skills required to keep up with today's changing automotive technology, Bryan continues to prove himself a front-runner in the competitive business of automotive repair and maintenance.